Supplier & Trader of Siemens PLC Programming. Our product range also comprises of Programmable Logic Controller, Control Equipment and Siemens AC Drive. The offered Siemens PLC Programming is used for the purpose of automating various industrial processes. Owing to their user-friendly operation and durable constructions, these series are highly demanded in textile and soft drink manufacturing plants. Making of this range is done as per the set industry norms and guidelines, utilizing the finest raw materials and modern machines. 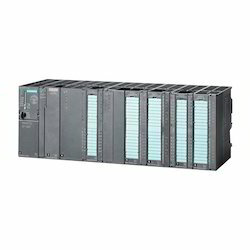 Looking for Siemens PLC Programming ?